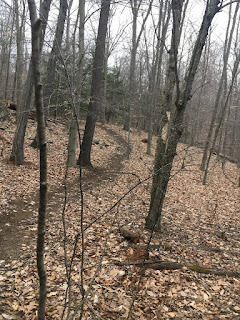 I met up with a local trail builder and we looked at the pin job I did on the Mulikin Reroute. She had some really great ideas that will make this part of the trail really good. 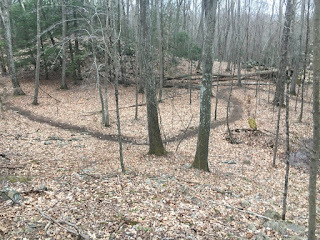 Now I have to go in and pin the exact trail now that I have a rough sketch. Afterwards, we rode up the Mulikin and then onto the Unmarked and Unsanctioned Trail. She said that poor attempt at bridging has to come out and a proper reroute is needed. I agreed and we rode on. 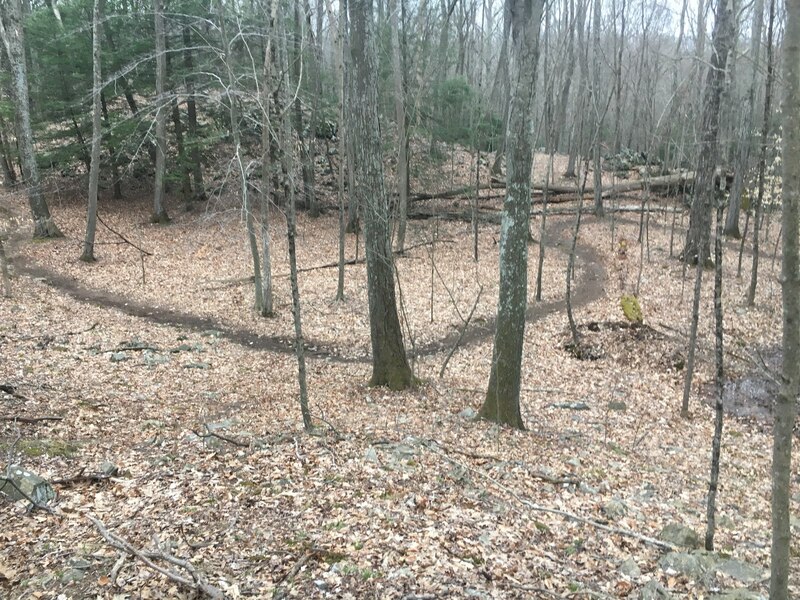 Who ever is leaf blowing the trails is got to stop. You have no idea how bad it is for the trails. 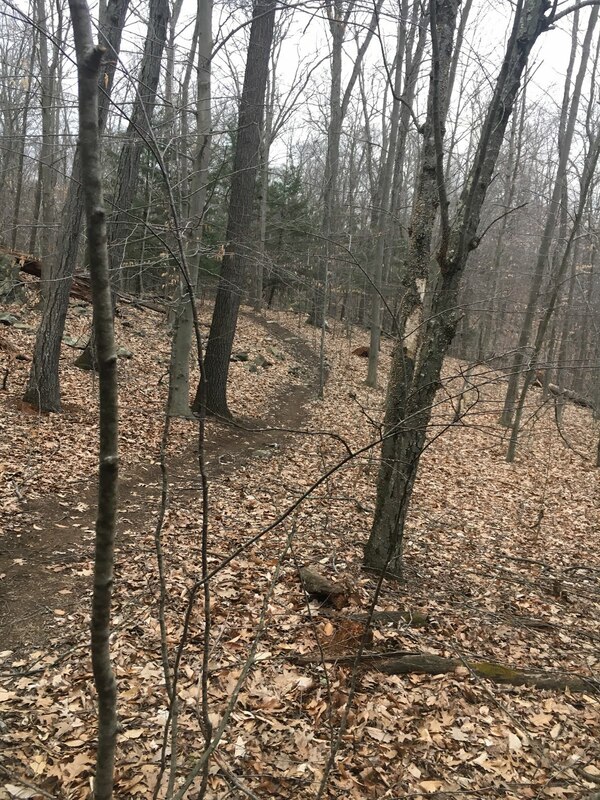 Leaves help shed water and keep the treadway from getting soggy which then leads to a muddy trail and then is reroute or armoring is necessary. It looks good but it's really bad for the trail. PLEASE STOP!